Mix all ingredients in a bowl, until completely combined. A pinch of rye is a wonderful spice to add to carrot slaw as well. With the warm months approaching very quickly, I'm starting to prepare what I call my annual "Sunny Menu." It's a menu that I make at the end of every winter, and it consists of recipes I want to try and experiment with or that I simply enjoy making every single year as the weather warms up. It really helps me to get creative with upcoming trending foods or just try and master an already, longstanding classic recipe I've made a bunch of times. 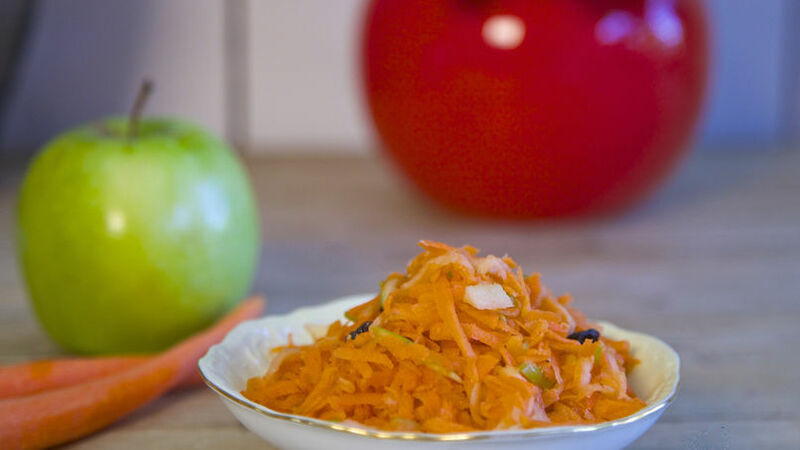 I try to go in as many different directions with my Sunny Menu recipes as I can, but one of the recipes that almost every year seems to find its way back in is my time-honored Carrot Slaw. I see it as a wholesome replacement for coleslaw because instead of using mayo, I use rice vinegar. Give it a try; I know it will also become your favorite yearlong!